If you’re one of the many for whom travel is a whole-family affair, we’ve got some ideas for you. And remember: It’s nearly impossible to find a spot in Colorado that doesn’t have “something for everyone,” so these four base camps are just the beginning of what could become some of your most memorable whole-family getaways of all time. 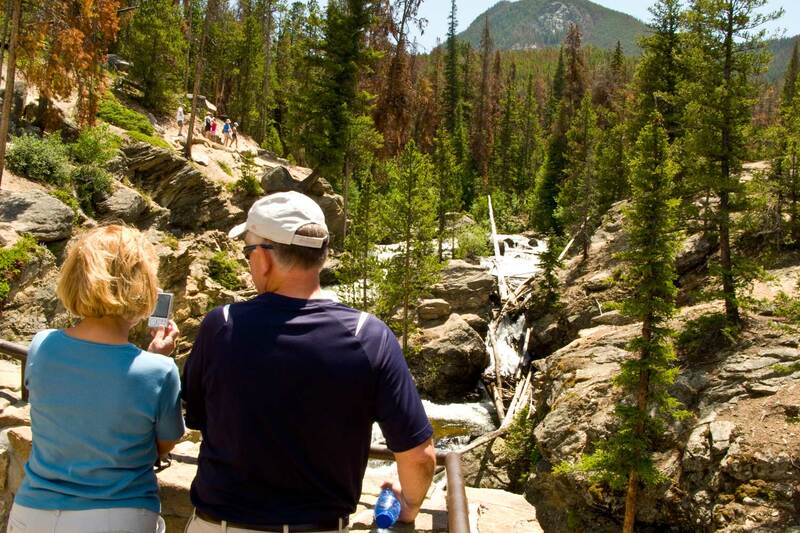 Here at the gateway to Rocky Mountain National Park, you’ll want to set aside plenty of time for hiking, picnicking, wildlife watching, driving scenic Trail Ridge Road and sipping up the fresh, high-alpine air. In Estes Park proper, your entire clan will love strolling Elkhorn Avenue — stopping for candy apples, taffy and ice cream — and regrouping beside the rushing Fall River, which runs right through downtown. Itching to get out on the water? Go on a whitewater rafting adventure or choose a Lake Estes paddleboat, pontoon or sailboat rental for a leisurely outing gliding across the reflections of the surrounding mountains. Rock Inn Mountain Tavern has made a name for itself through its top-notch service and yummy menu, with bacon-wrapped dates, penne with elk sausage and delectable sandwiches. Start by toasting with mint juleps on the vast veranda of the Stanley, a grand, historic hotel you’ll spot as soon as you roll into town. Or order a little sipper from the Stanley’s Whiskey Bar, which sports a menu of an astounding 900 whiskeys. For dinner, indulge in surf-and-turf with a Colorado bent at the log-cabin Twin Owls Steakhouse. The Glenwood Hot Springs Lodge, Pool and Spa has been a favorite family destination since 1888. Today’s families love that kids can splash, swim and slide while the adults simply sit and soak up the heavenly warmth of the pools’ therapeutic mineral waters — and the vistas, too. 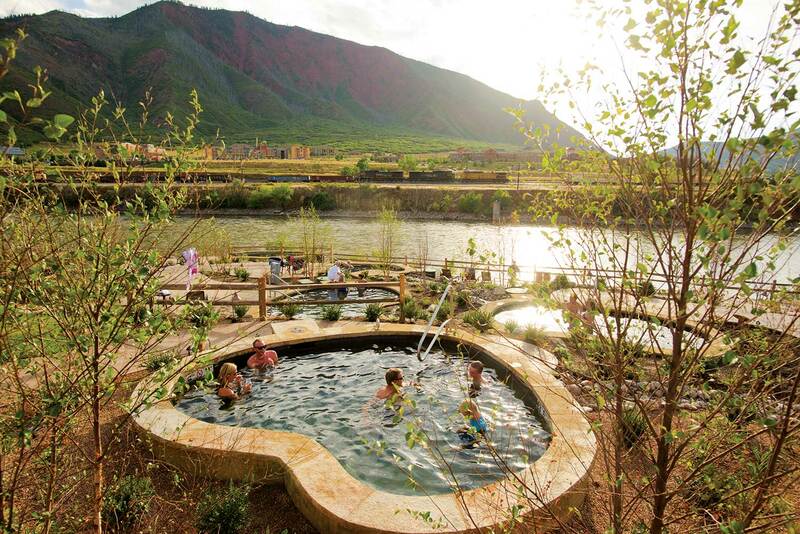 Iron Mountain Hot Springs provides another splash/soak option, outfitted with a large, freshwater family pool heated to 90 degrees and smaller pools in a “quiet zone,” where tots 5 and under are not permitted. When you’re ready to towel off and venture out, head to Glenwood Caverns Adventure Park for its thrill rides and aerial tramway, which boasts serious panoramas. Grown-up and big-kid outings can also include golfing at Glenwood Springs Golf Club, where every tee has a view of the Roaring Fork River, or fishing the Roaring Fork or Colorado River. Try the Polish specialties at the low-key Polanka or the inventive tacos (and margaritas for the adults) at Slope & Hatch. A tempting cocktail list and dishes such as lobster ravioli and venison meatballs make Co. Ranch House an ideal spot for a kid-free getaway. The outdoors will call to your group right away in Colorado Springs. There's Garden of the Gods, an astounding collection of red rock formations, with trail options suitable for strollers to wheelchairs. The pyramidal Pikes Peak presides over all of Colorado Springs and can be explored via cog railway, car, bike or hike. 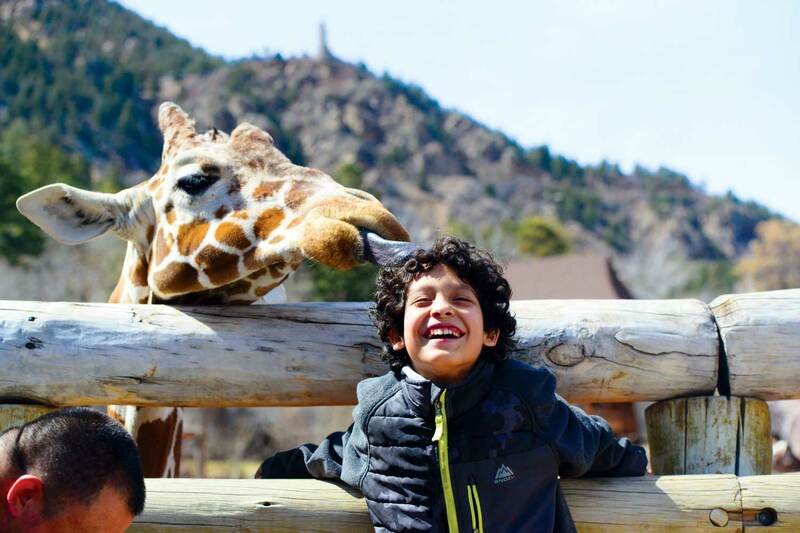 And Cheyenne Mountain Zoo is a slam dunk for youngsters, with 150 acres of mountain terrain inhabited by some 950 animals. Indoor pursuits are just as plentiful and include an hour-long tour of the U.S. Olympic Training Center, where elite athletes train year-round, and the Pro Rodeo Hall of Fame, filled with historic photographs and relics that may especially capture the attention of your group’s older faction. Edelweiss Restaurant is a longtime local favorite, serving traditional German fare, along with lots of “safe” options for the kiddos and accordion music as accompaniment. At the Airplane Restaurant, everyone in your party will be tickled by the novelty of dining inside a Boeing KC-97. Origami cranes dangle from the ceiling at the intimate Shuga’s, where guests rave about the Brazilian coconut shrimp soup and the kitschy-goes-chic “café tray,” a sampling of gourmet goodies. We can hardly think of a better way to make your whole crew smile than a day on the Durango & Silverton Narrow Gauge Railroad. The vintage steam locomotive has been carrying passengers along the scenic mountain route since 1882. Opt for the one-way trip up and coach ride back down if you have very little ones or elderly members of your party. 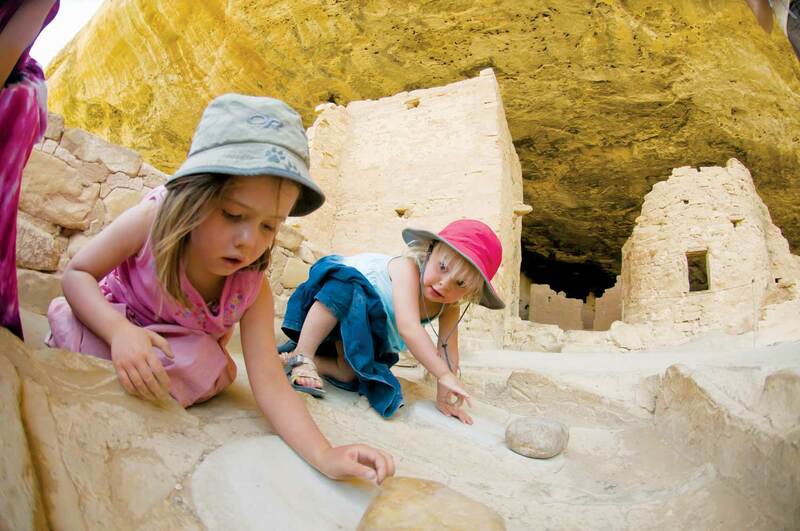 Another epic family adventure awaits at Mesa Verde National Park, where kids will love climbing cliff walls and peering into belowground kivas and adults will be captivated by the history of cliff dwellings dating back to 600 A.D. Back in Durango, let the young ones get hands-on at the Powerhouse Science Center, a historic power plant now equipped with interactive science exhibits. Or shop downtown’s boutiques, breaking for some chocolate fudge or rock candy. Abuzz with diners of all ages is Steamworks Brewing Company, where yummy pub fare pleases every palate. Fired Up Pizzeria is another cheery joint, with savory pies, steaming calzones and crisp salads. Save your splurge for Seasons, where the wine list is exceptional, an entire menu of cheese and salumi whets your palate, and finely prepared dishes include beef carpaccio and melt-in-your-mouth grilled trout.